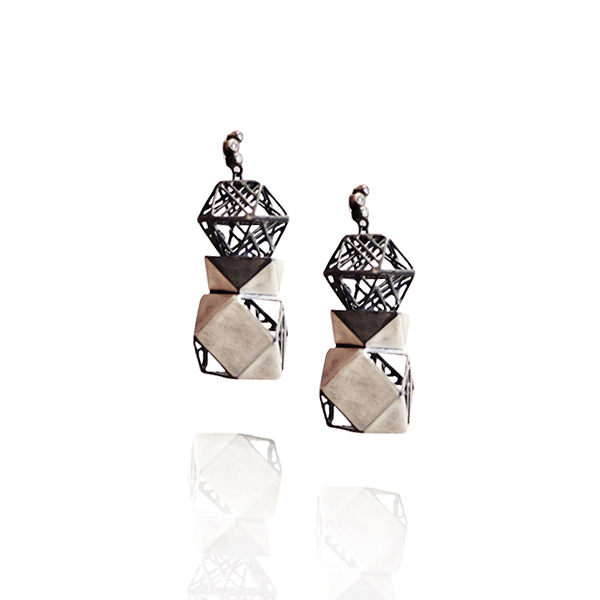 Inspired by architectural forms and topographical shapes in nature, Jee Hye Kwon works with multiple gauges of wire and thin planes of oxidized silver to create these incredible faceted earrings. Each post is adorned with three small diamonds for just the right amount of sparkle. The hand-fabricated, hollow forms are surprisingly light and easy to wear while creating a powerful impact.